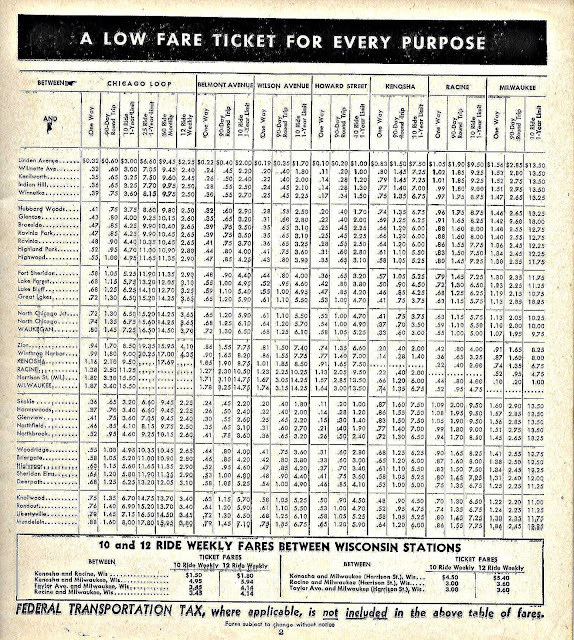 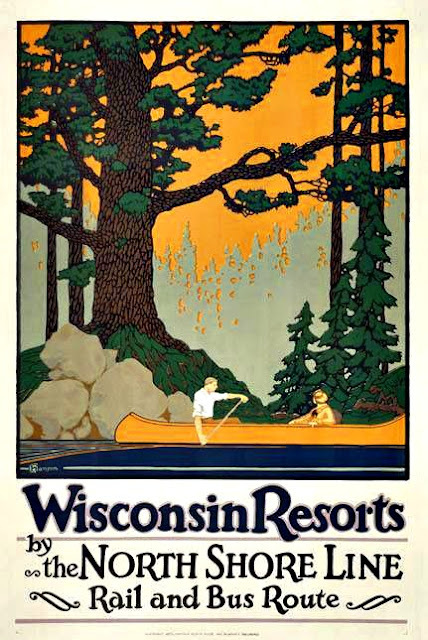 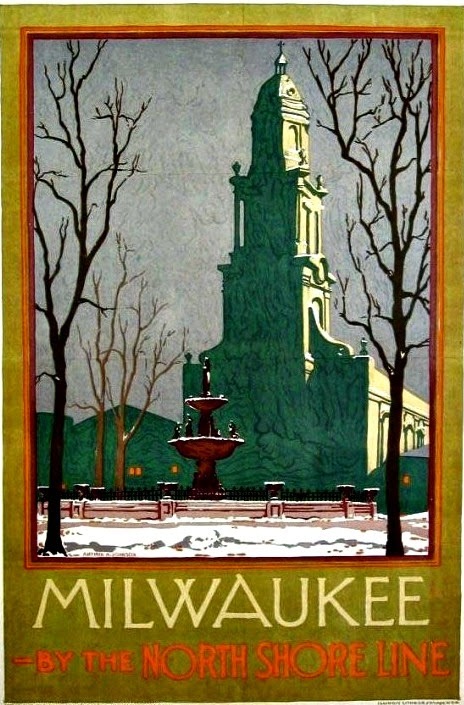 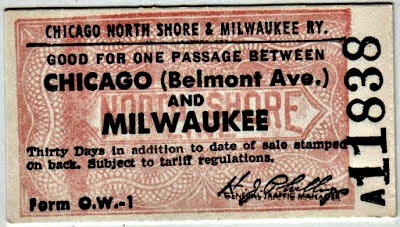 I need a round trip ticket to Milwaukee from the Belmont Station, please! 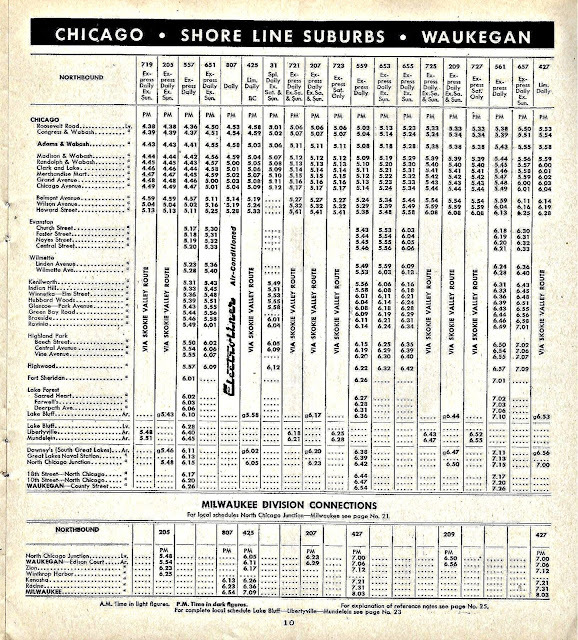 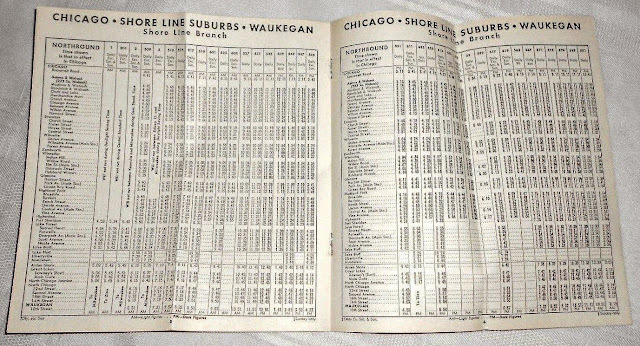 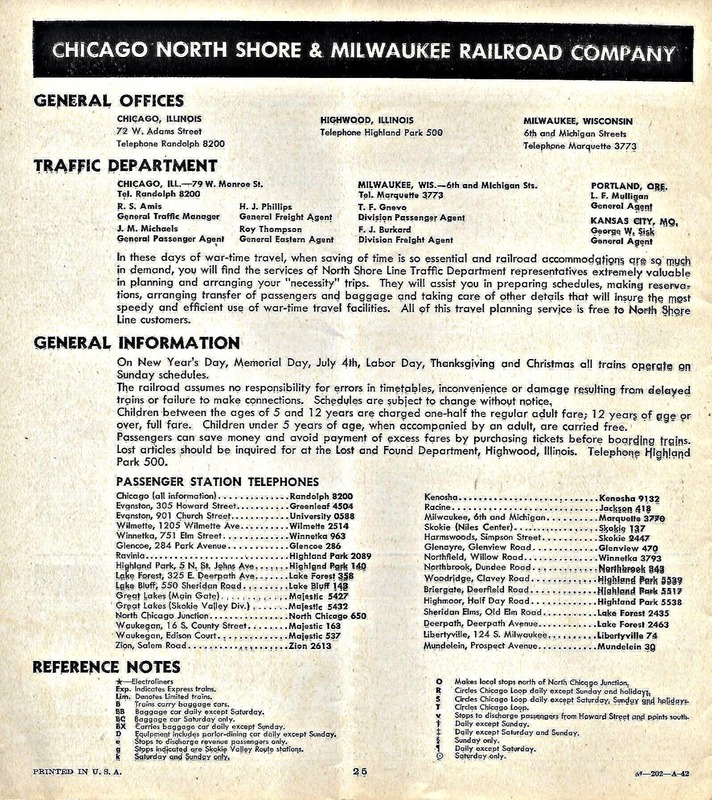 Any train commuter who lives in Indiana and works in Chicago is aware of the South Shore Line but does any remember a train service from Milwuakee to Chicago? 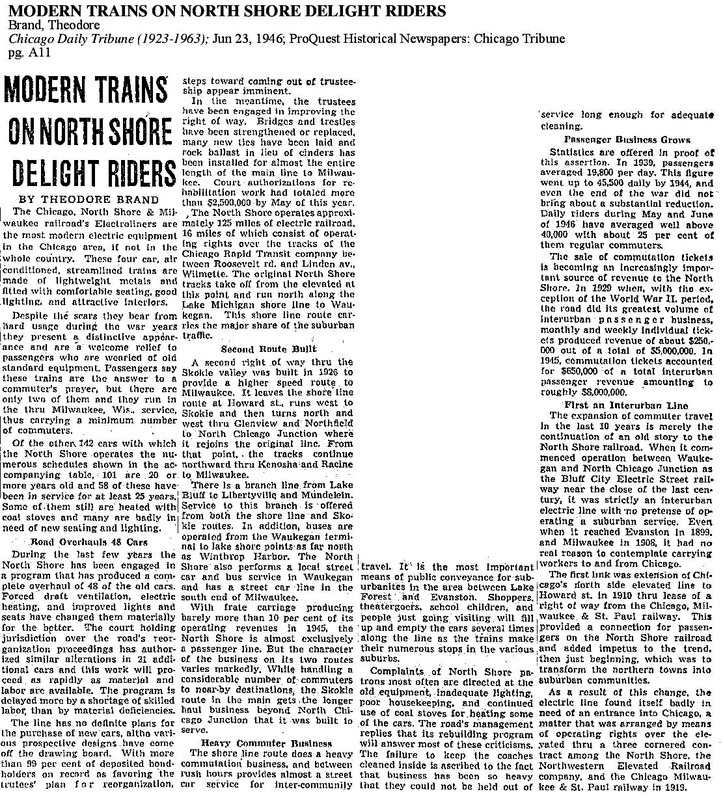 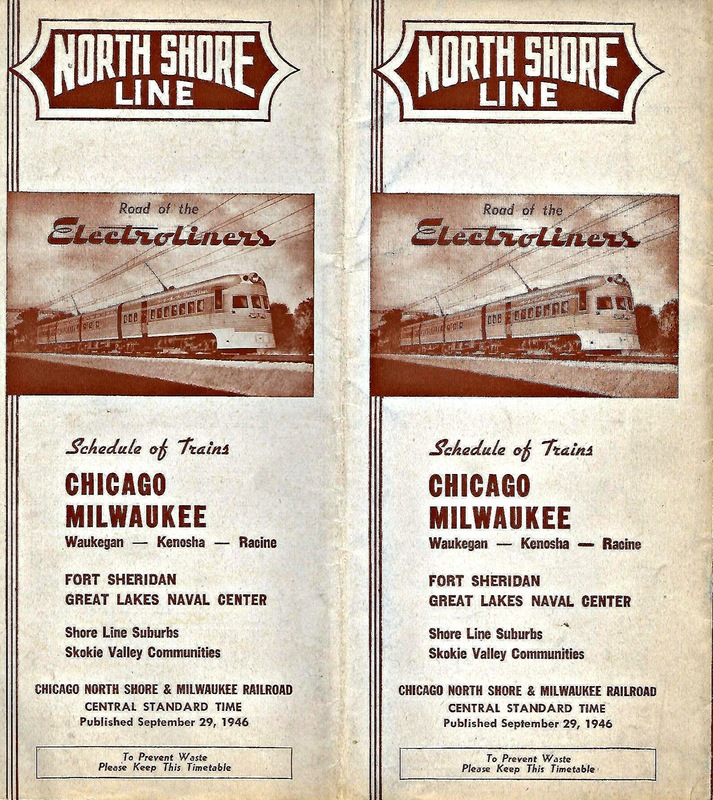 Well, it was called the North Shore Line and had seven stations or stops within Chicago before train service headed to the northern burbs and Wisconsin. 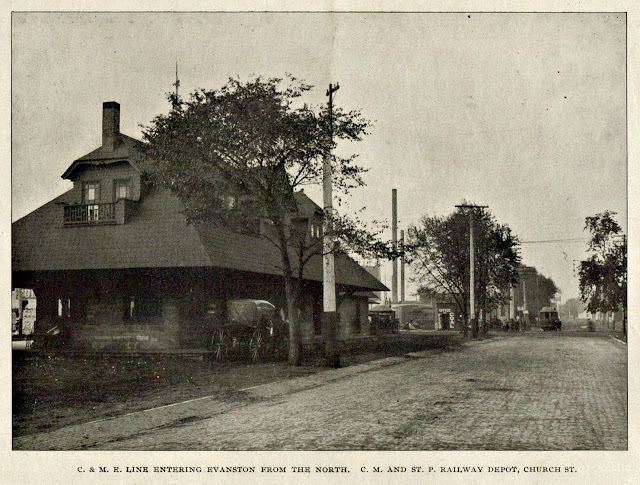 One of the stops was the Belmont Station in Lake View. 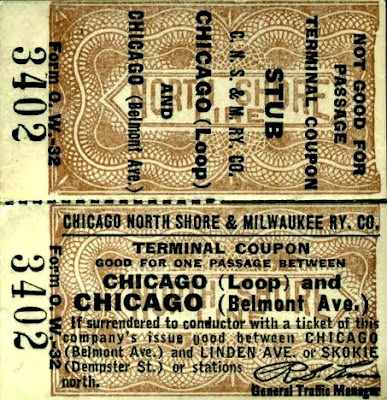 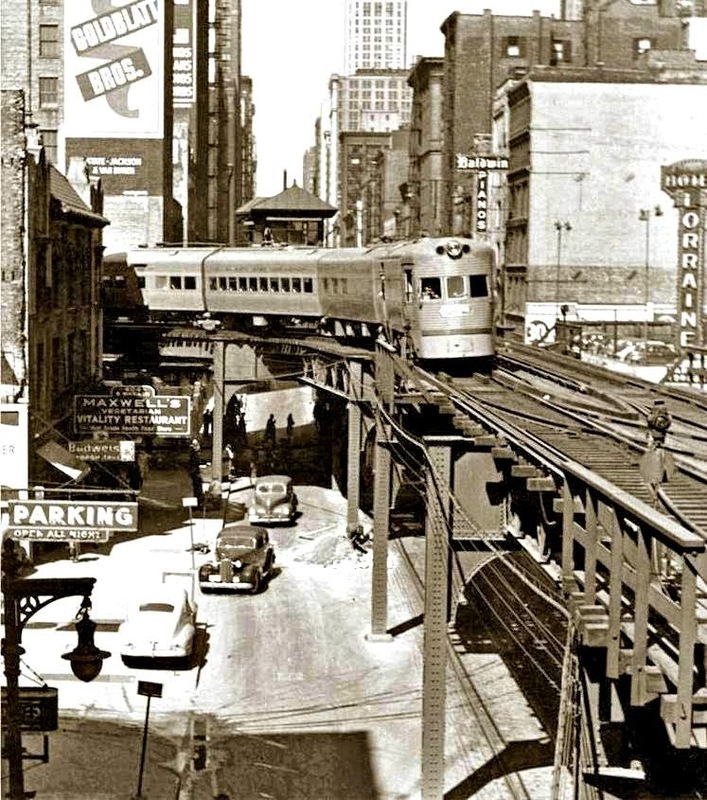 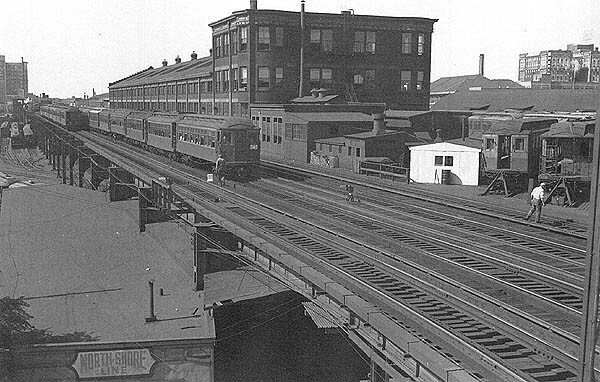 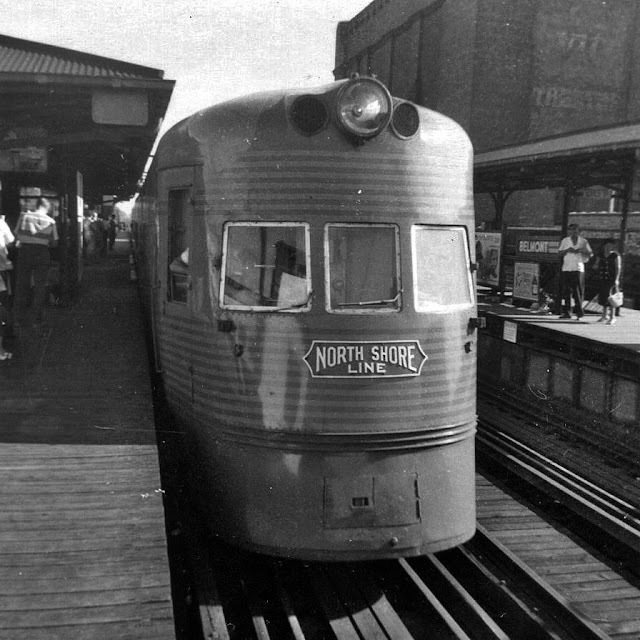 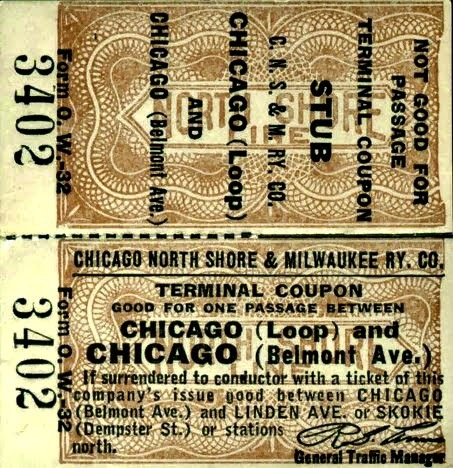 The North Shore line was routed north along old North Western Company elevated tracks in Chicago with stations in the Loop, Belmont, and Wilson stations between 1916-1963. 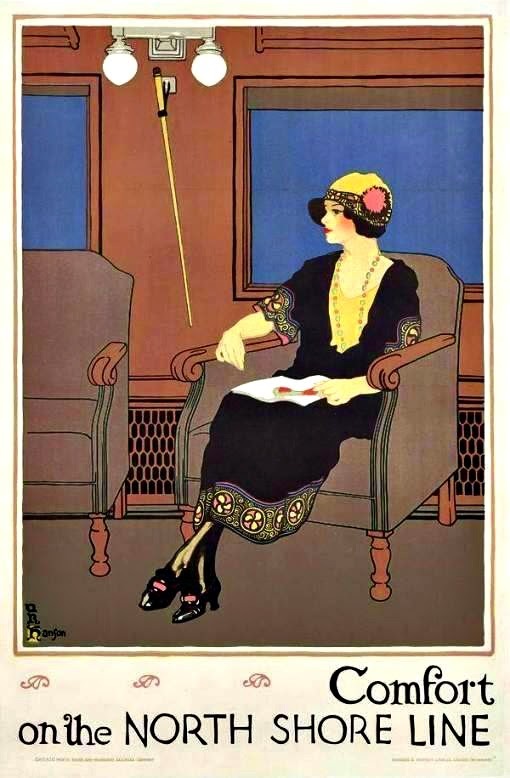 There is FB presence. 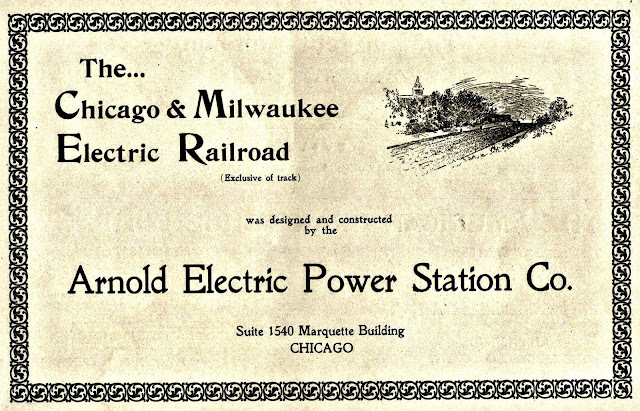 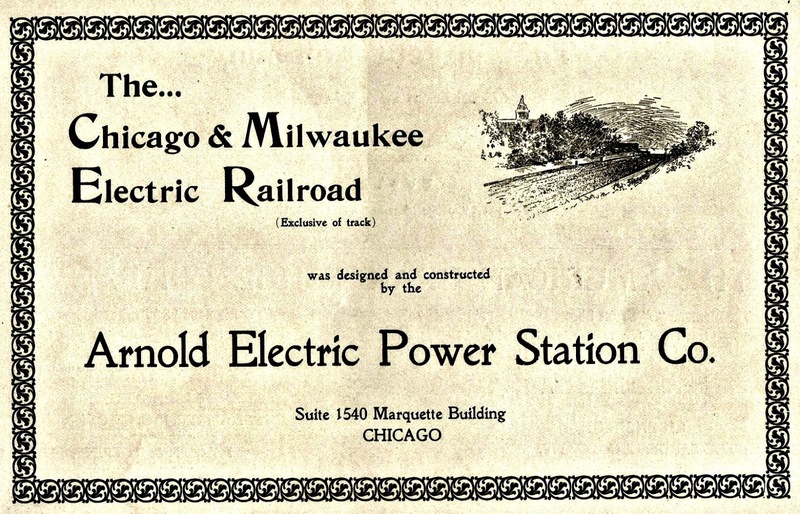 The Chicago North Shore & Milwaukee Railroad will probably be remembered as having the greatest of all electric interurbans (hybrid between tram or streetcar and regular train) for its high speed (of its' day), high capacity and magnificent roadbeds. 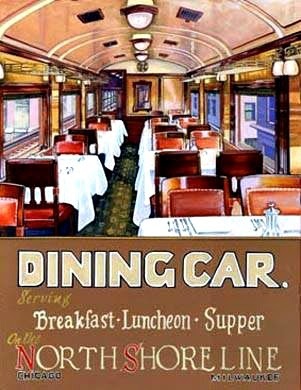 It was a pioneer in radio-equipped parlor-lounge cars, had one of the first mechanical refrigerator cars, and in 1926 pioneered the piggyback movement of truck trailers on flat cars. 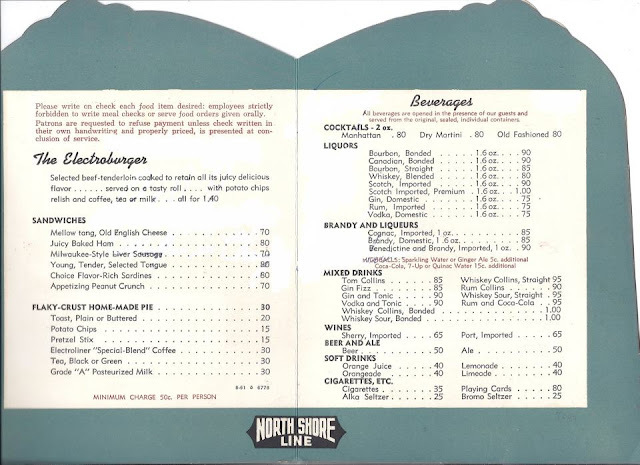 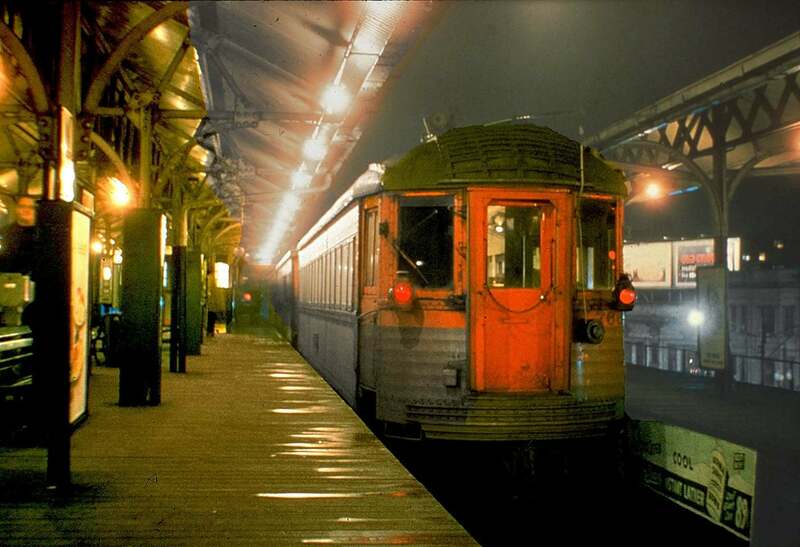 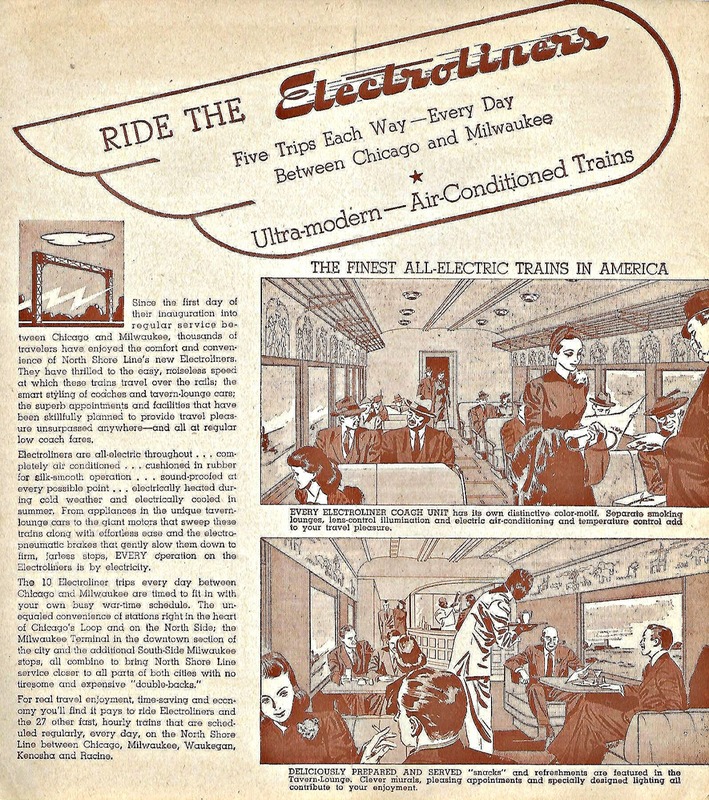 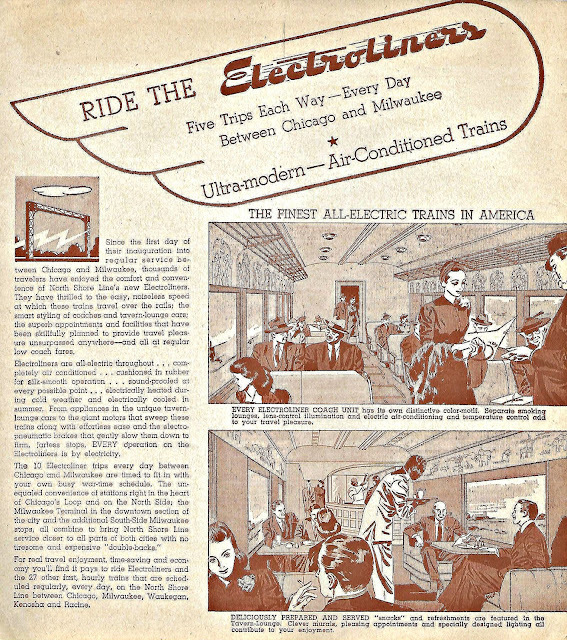 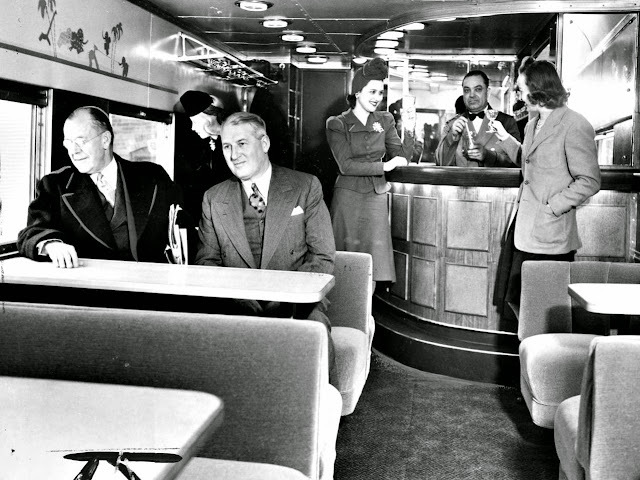 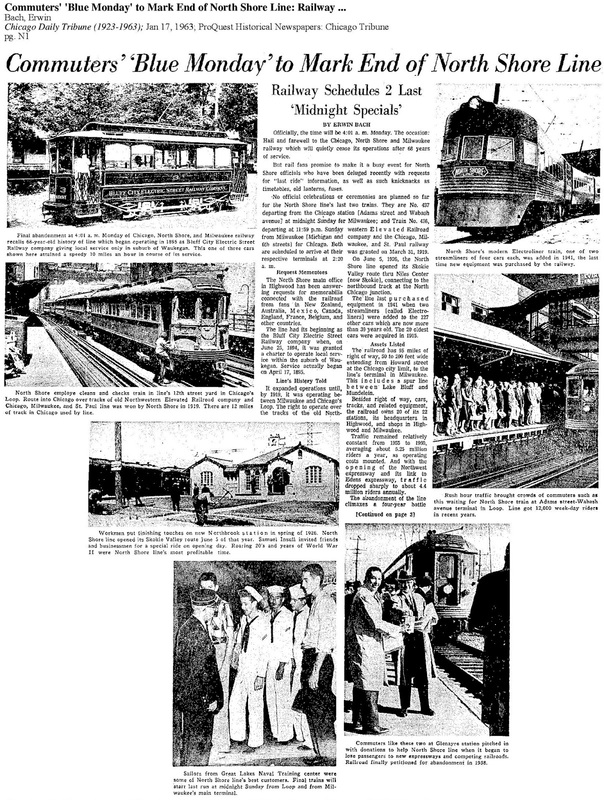 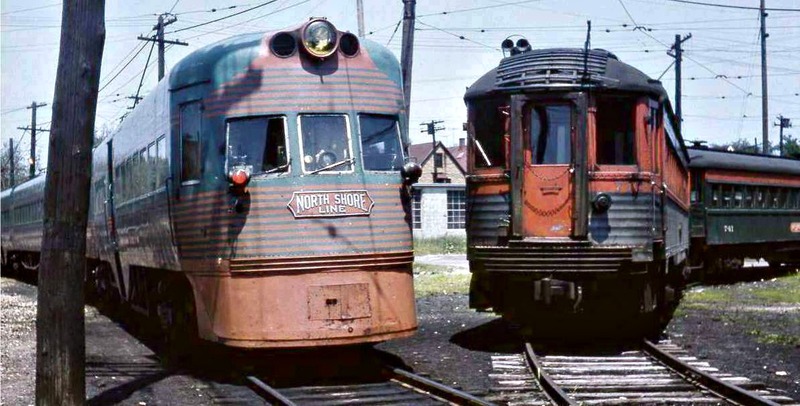 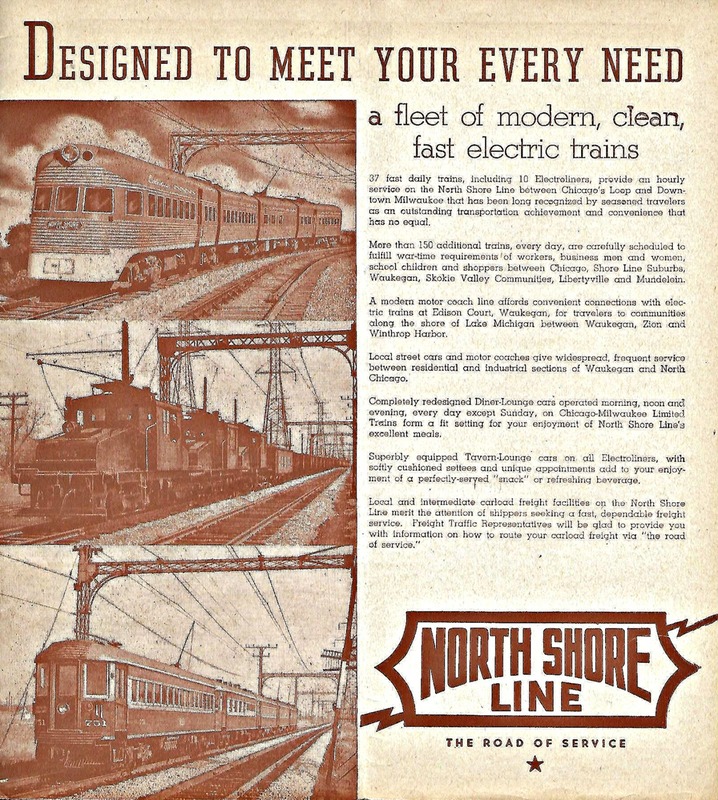 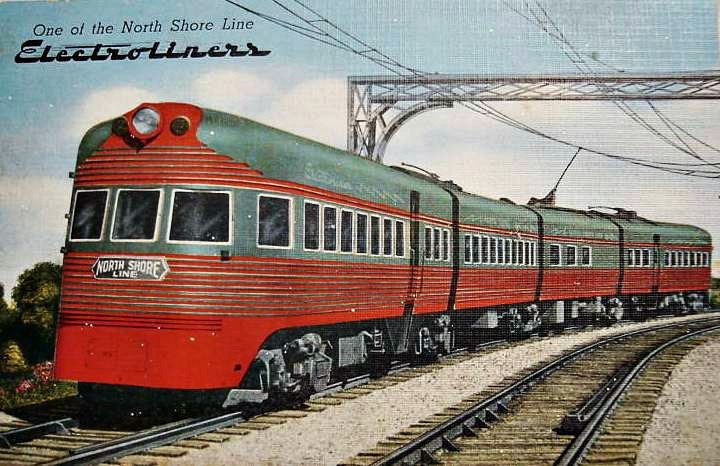 The Chicago North Shore and Milwaukee Railroad introduced the luxurious Electroliner in 1941, complete with a tap room car and speeds of up to 85 miles an hour. 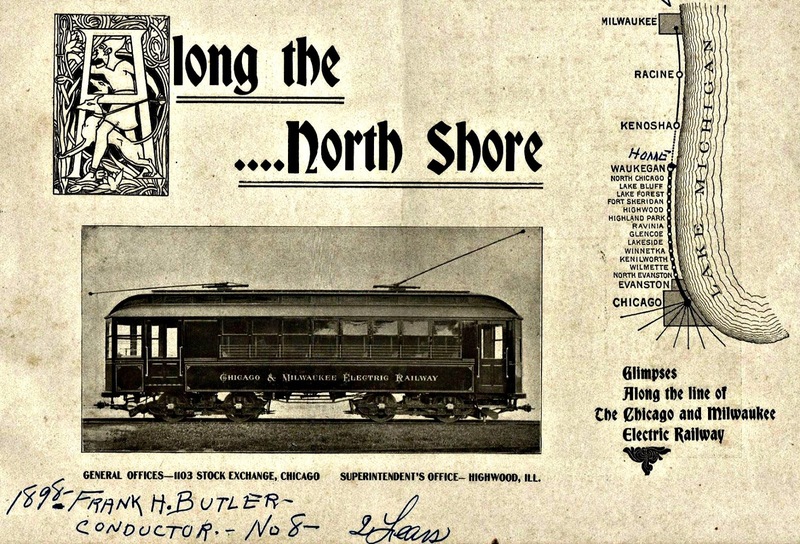 "This was part of the CTA's efforts to separate the North Shore' passengers from the CTA's. 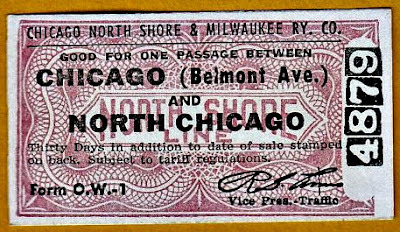 Prior to that a SB CNSM passenger (for example) could get off at Howard, Wilson or Belmont and change to a CTA train without paying a fare and ride the CTA to a station that the North Shore did not stop. 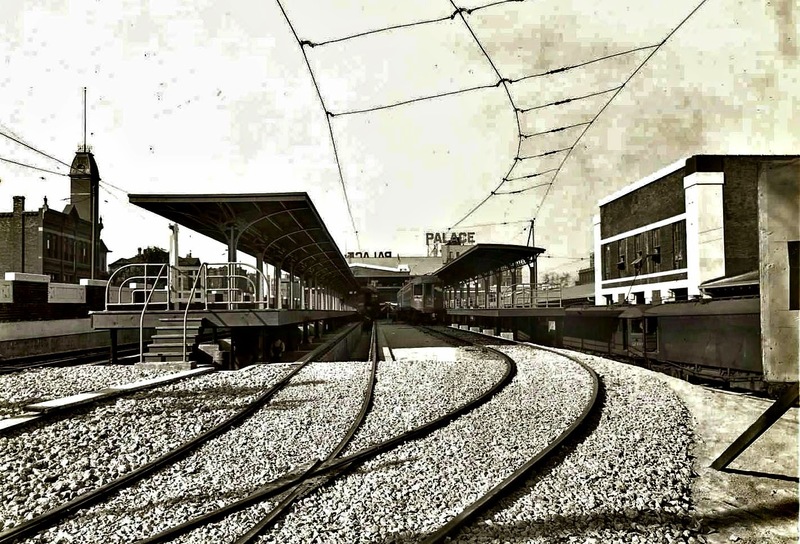 The SB Wilson station platform was new along with the connection from the freight line ramp back to the main line, allowing a bypass around the main station. 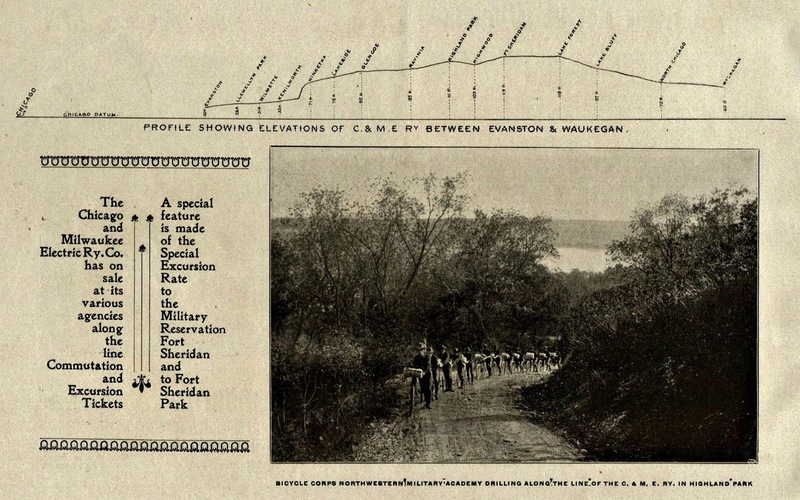 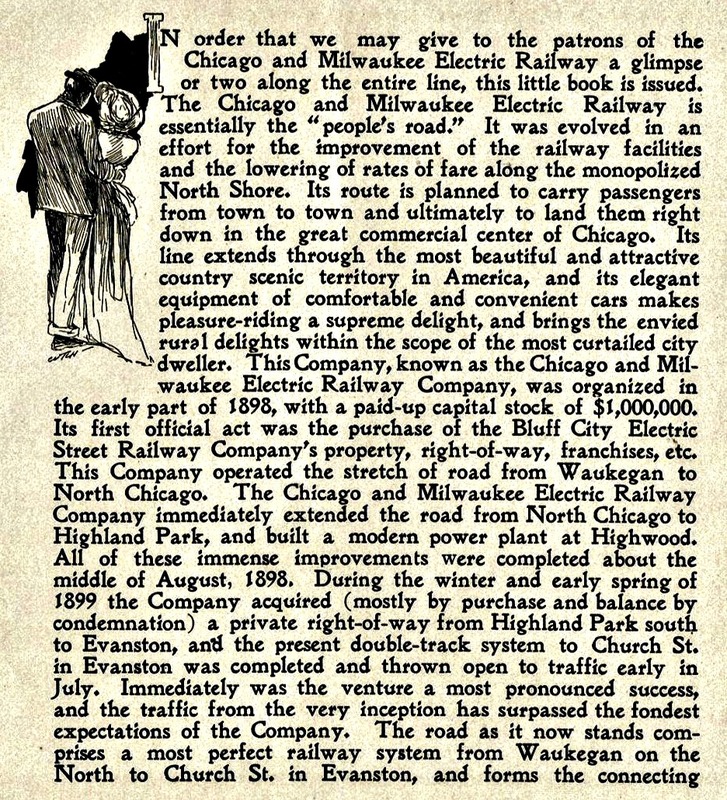 The Evanston trains then also utilized this bypass. 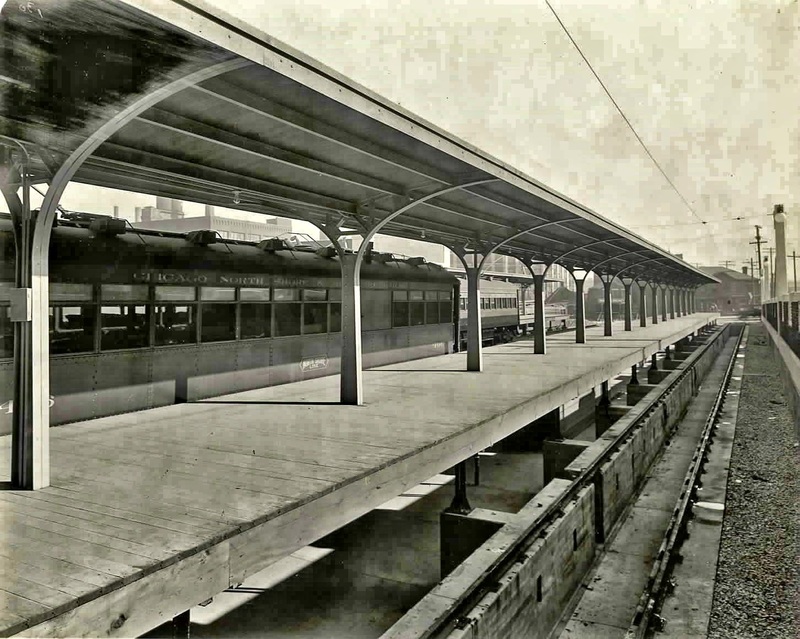 A new ramp was built from the ticket booth area to the new platform. 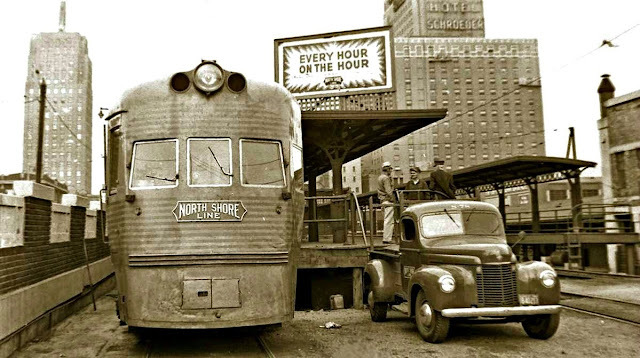 This was only for exiting SB North Shore passengers. 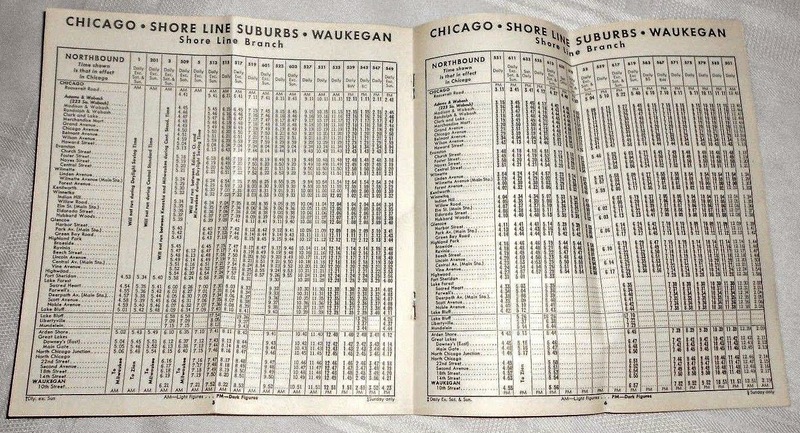 If they continued on the CTA they would then pay the CTA fare. 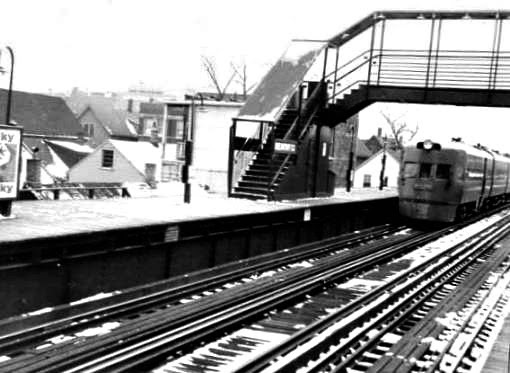 At Belmont, a new (very narrow) platform was built alongside the west track on the west side with a stairway down to the street, exit only for SB passengers. 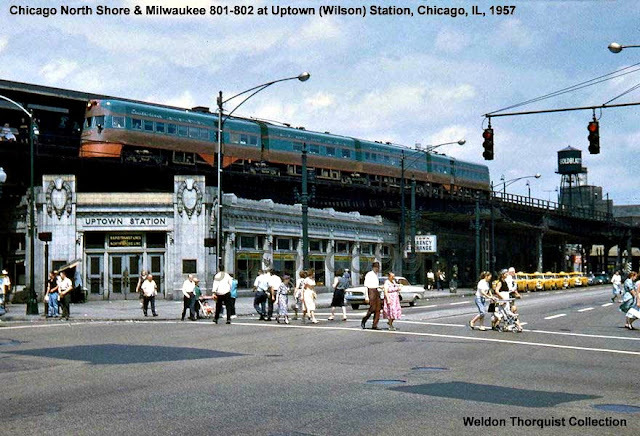 This was removed after 1962." 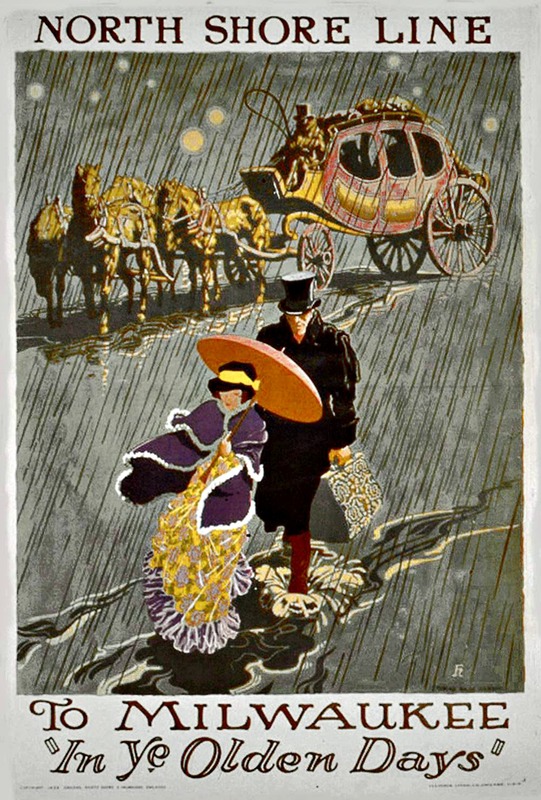 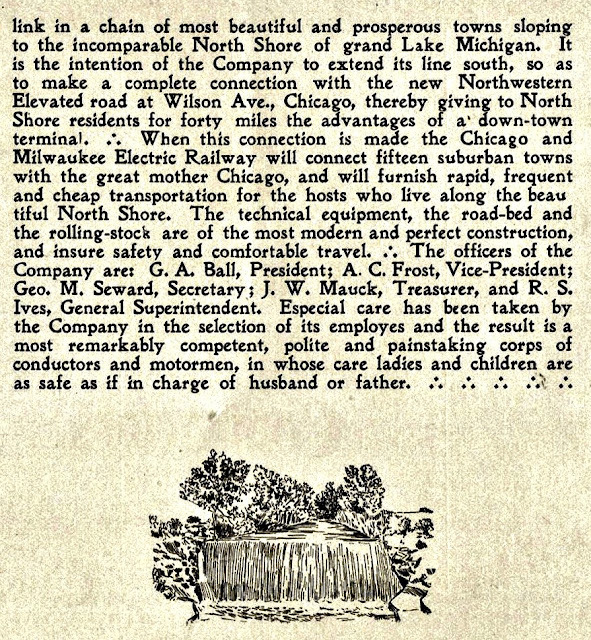 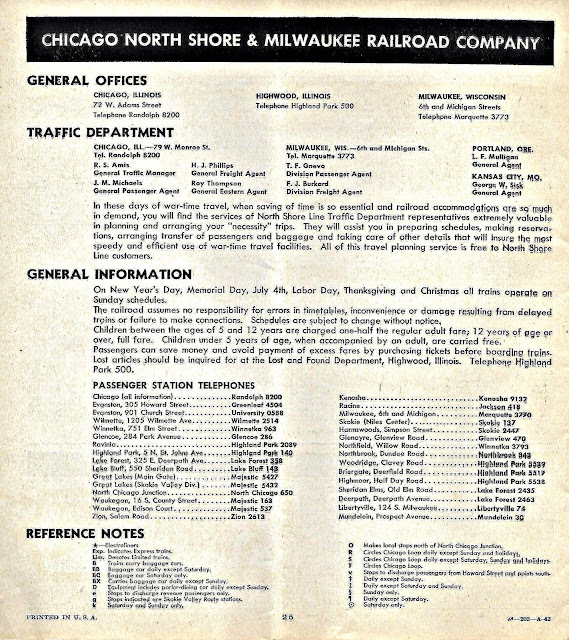 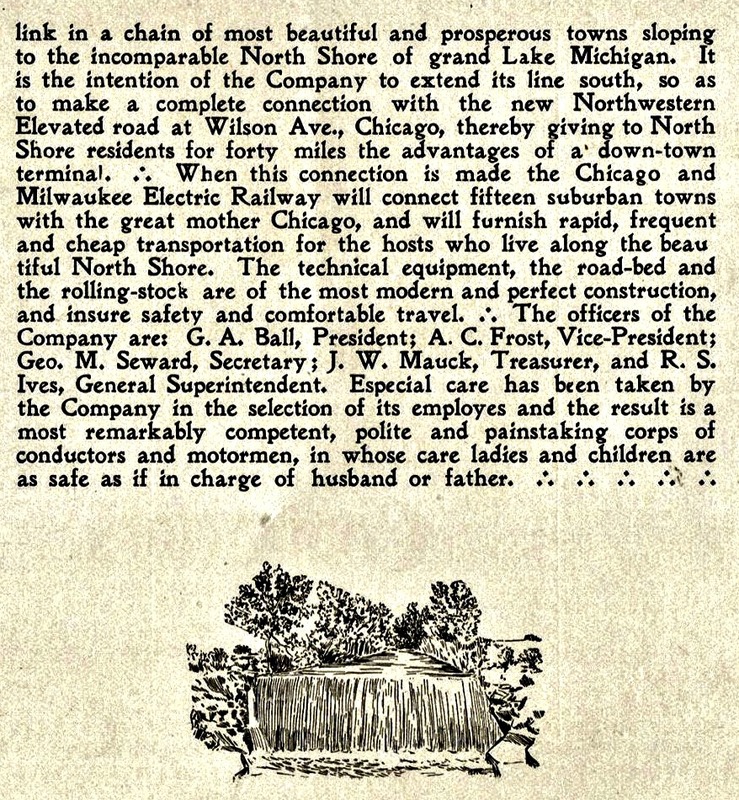 The earliest North Shore precursor was organized by local businessmen at Waukegan, Illinois, in October, 1891, as the Waukegan & North Shore Rapid Transit Company with a seven mile system in Waukegan. In 1912 plans to merge the Northwestern Elevated Railroad with the Chicago & Milwaukee was needed to gain access to the downtown area of Chicago. 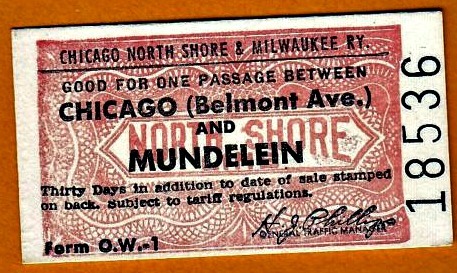 By 1916 and after several disputes the two lines merged and renamed the Chicago North Shore & Milwaukee Railroad. 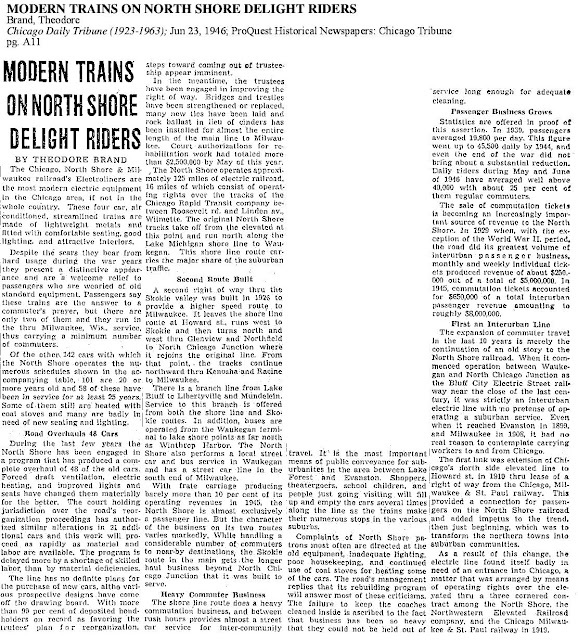 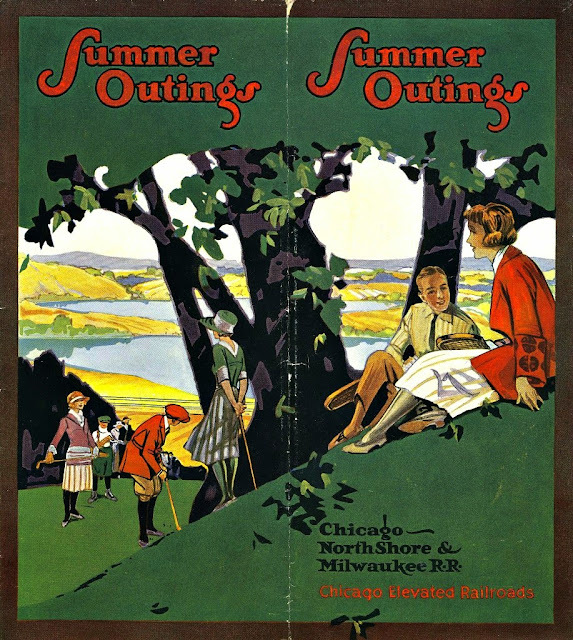 On August 6, 1919, the North Shore had true service between Chicago and Milwaukee operating directly on the elevated tracks with a main Chicago station at Adams Street and Wabash Avenue in the downtown Loop. 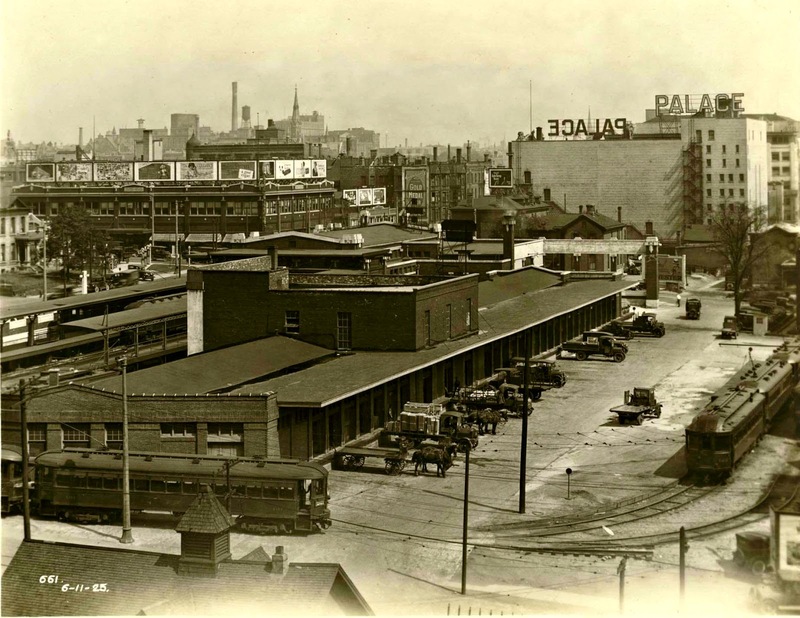 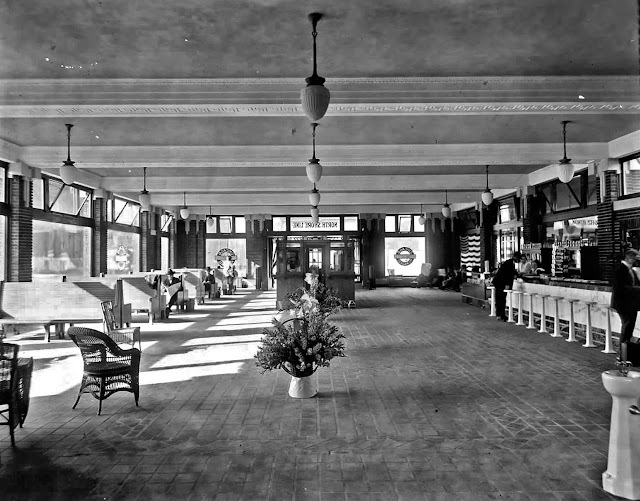 On September 15, 1920, the company opened a new terminal in Milwaukee at Sixth and Michigan streets. 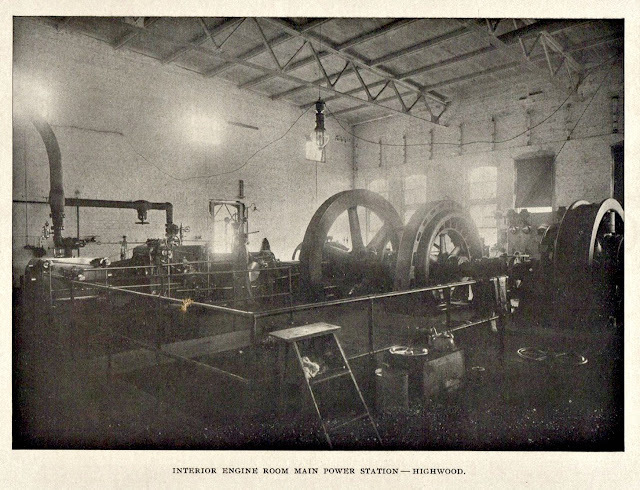 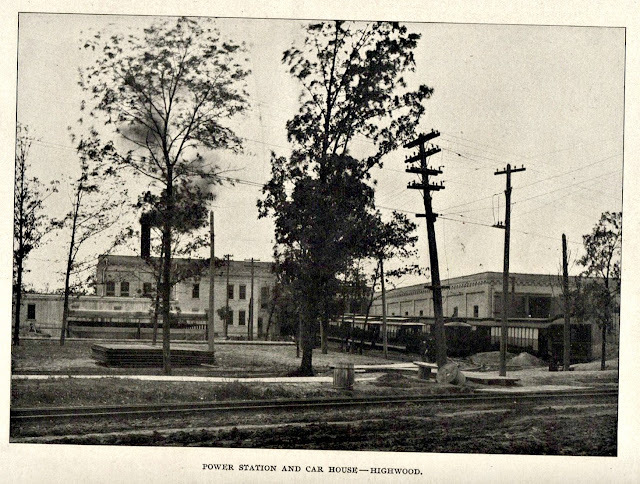 Built at a cost of $600,000, the new structure was said to be, with considerable exaggeration, the largest electric railway terminal in the United States. on the North Shore Line. 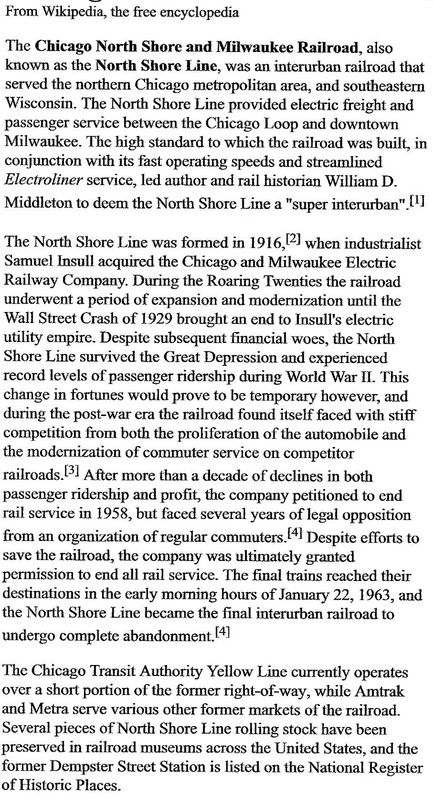 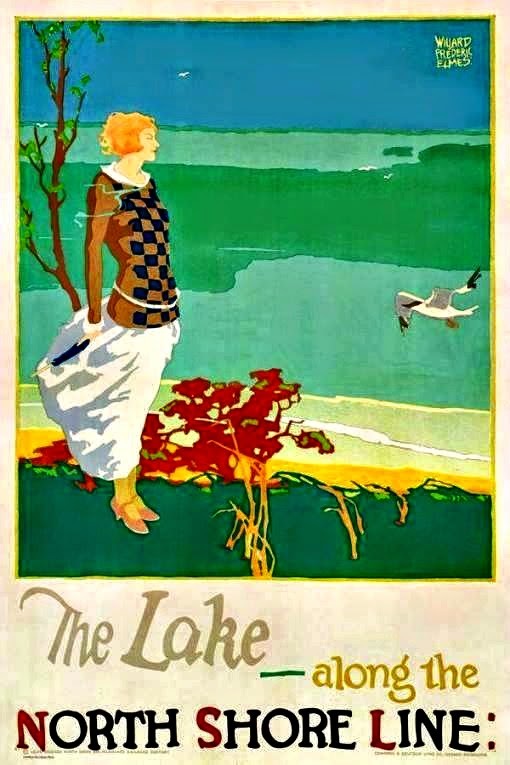 By 1932 the North Shore was making a painful financial recovery with lesser losses. 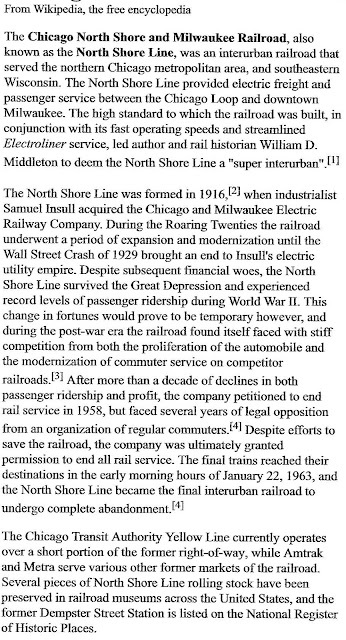 It continued to display a high level of performance throughout the depression years. A WPA project in the late 1930’s, together with the North Shore and Chicago North Western, carried out an extensive grade separation project at Glencoe, Winnetka and Kenilworth on its route south. 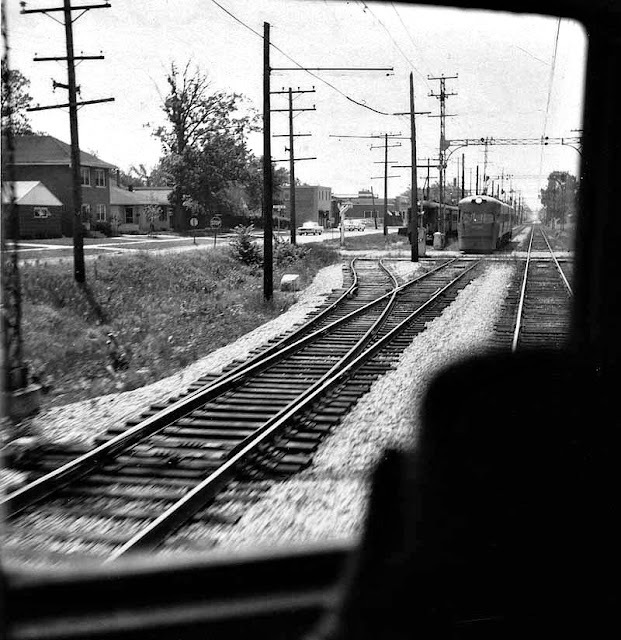 It was nearly four-miles long, and eliminated over a dozen grade crossings as well as two stretches of operation through city streets. 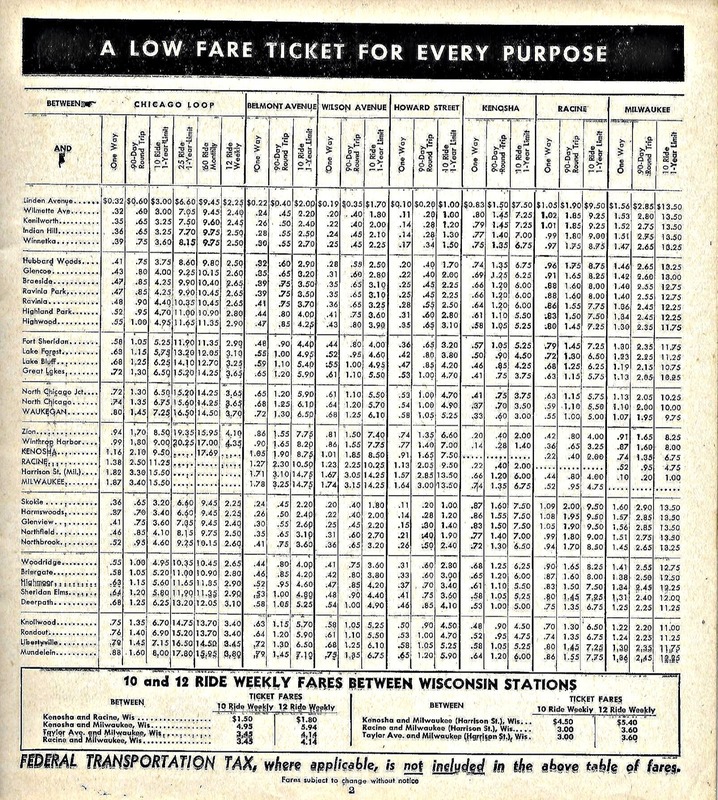 The last day was of this rail line occurred during the early morning hours of January 21, 1963, the interurban cars sped through the snowy Illinois and Wisconsin countryside for the last time as the midnight trains from Chicago and Milwaukee made their final runs. 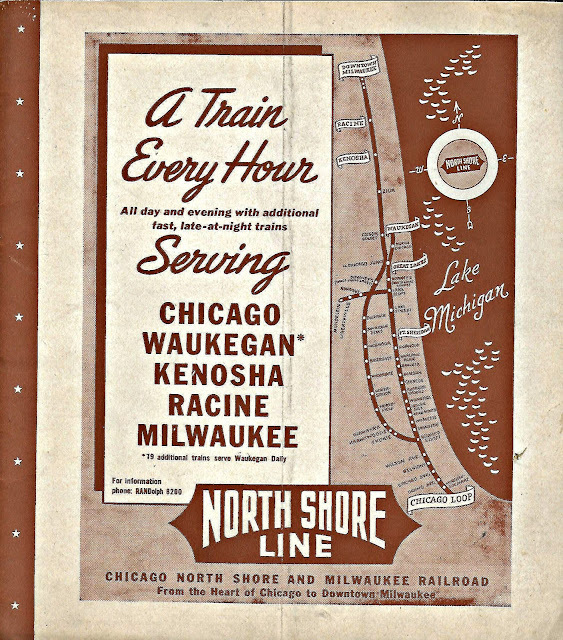 At 2:50 a.m. the last southbound train stopped at Chicago’s Roosevelt Road station, and five minutes later the last North Shore train rolled into the Milwaukee terminal. 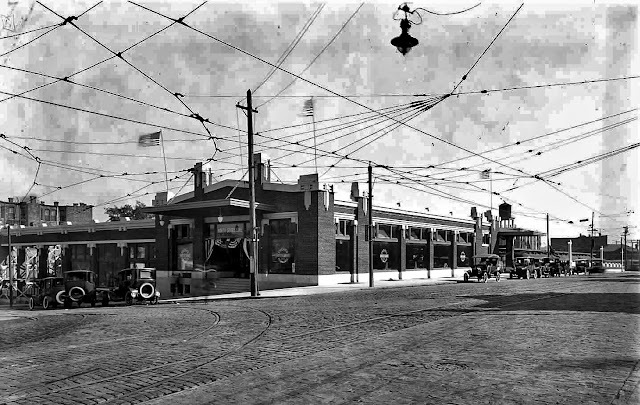 The trolley poles were pulled down and hooked, and the lights in the terminal were turned off ending an American interurban era. 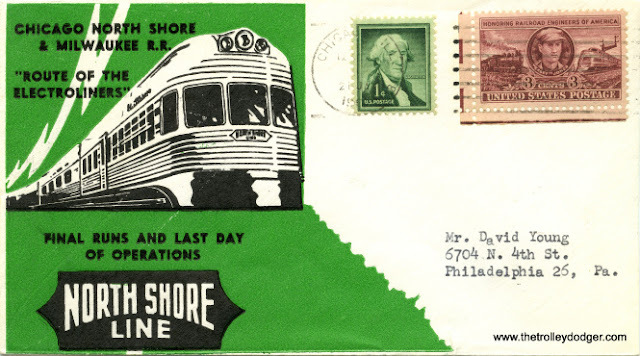 to the sender for a keepsake. 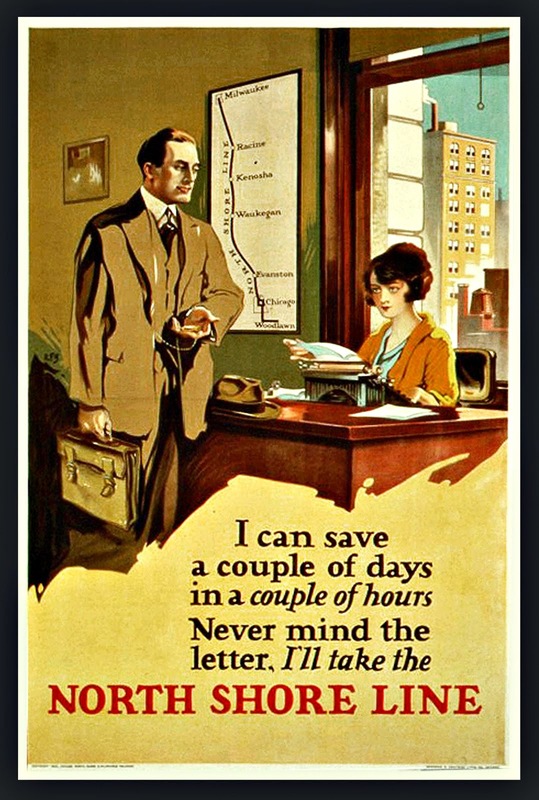 via 'Man On Five'! 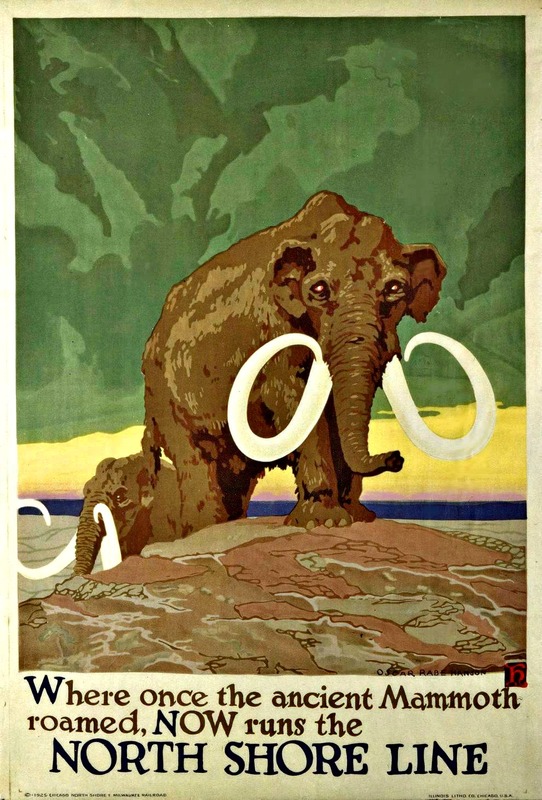 View more posters by Oscar Rabe Hanson via Google!